By how much should we expect renewable energy to replace fossil fuels over the next 20 years? blog Comments Off on By how much should we expect renewable energy to replace fossil fuels over the next 20 years? In 2007, renewable energy already provided 18% of the world’s total final energy supply, greatly exceeding earlier predictions. While global GDP increased by 156% between 1990 and 2007, energy demand “only” rose by 39%. A recent Worldwatch study has outlined a new, technologically and economically viable 2030 global low-carbon scenario. It demonstrates that energy demand can be reduced by another one third compared to the business-as-usual scenario produced by the International Energy Agency which is used by many as the “reference scenario”. In our scenario 50% – half! – of the remaining energy demand in 2030 can be provided by renewables decreasing energy-related CO2 emissions by 52%. Natural gas will play a major role in covering the other 48%. Natural gas is widely available and produces less greenhouse gas emissions and less local air and water pollution than coal and gas. It also does not create the security, economic, and health burdens of nuclear energy. What is more, natural gas can serve as an important ally of renewables. Since gas power plants can be switched on and off relatively easily, we can make sure that the maximum amount of renewables are used despite their fluctuations on a given day. Environmentally such a major transition of the global energy system is a necessity if want to avoid catastrophic climate disruptions. Technologically and economically, our scenario is feasible. What is still lacking, is the political will to make it reality. The European Environment Agency (EEA) yesterday released its greenhouse gas inventory for 2008, showing a two-percent fall from 2007 levels across EU-27 countries and an 11.3-percent reduction from 1990 levels. The new data also show that the EU-15 (the 15 only EU members in 1997 when the Kyoto Protocol was negotiated) have reduced emissions by 6.9 percent since 1990, putting those countries on track to meet their Kyoto Protocol commitment of reducing 2008-2012 emissions by an average of 8-percent below 1990 levels. The European Commission points out that the EU-15 emission reduction—a 1.9-percent drop from 2007 to 2008—came as the region’s economy grew 0.6 percent, suggesting that economic growth and emissions cuts can be compatible. Just last month, the European Commission had announced that emissions covered under the EU Emissions Trading System (ETS) fell even more rapidly: verified emissions from covered installations were 11.6-percent lower last year than in 2008. 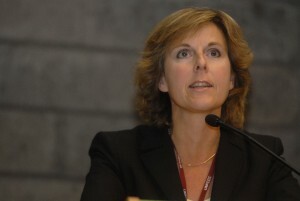 EU Climate Action Commissioner Connie Hedegaard cautioned that these reductions are largely due to the economic crisis, as opposed to ambitious actions by covered industry. The crisis has also weakened price signals in the trading scheme and slowed business investment in emissions-reducing innovations. Earlier this year, the European Commission began arguing that the Union should commit to deeper cuts than a 20-percent reduction from 1990 levels by 2020, calling instead for a 30-percent decrease. It released figures showing that, largely due to the economic crisis, the annual costs for cutting emissions will be lower than originally estimated by 2020. In 2008, the EU estimated that €70 billion per year would be necessary to meet the 20-percent target, but this cost estimate has now fallen to just €48 billion. For a 30-percent target during the same timeframe, the new projected annual cost is €81 billion—only €11 billion more than what EU countries have already accepted under the 20-percent target. Lange Zeit schien es so, als würde John McCains Schachzug aufgehen. Die bis dahin auf Bundesebene weithin unbekannte Sarah Palin hatte dem republikanischen Präsidentschaftskandidaten zwischenzeitig ein derartiges Zwischenhoch eingebracht, dass dieser dem Umfrageinstitut Gallup zufolge Mitte September erstmals seit Beginn des Wahlkampfs vor seinem demokratischen Herausforderer Barack Obama lag. Fast ein Drittel der Befragten hatte damals ausgesagt, dass sie wegen Palin eher für McCain stimmen würden. Palin ist eine gute Rednerin. Ihr Augenzwinkern und ihr Sekretärinnen-Outfit haben für manchen Zuschauer Sexappeal. Ihre privaten Herausforderungen (ihr eigenes fünftes Kind kam mit dem Down-Syndrom zur Welt, ihre minderjährige Tochter ist gerade unverheiratet schwanger) bieten der Boulevardpresse den Stoff, den viele Amerikaner ernster politischer Berichterstattung vorziehen. Ihr mit Optimismus in jugendlichem Schwung und provinziellem Slang vorgetragener Erzkonservatismus und ihre Angstmacherei sprechen Wählergruppen an, die häufig selbst wenig lebensfroh, jung und elanvoll, aber umso erzkonservativer und ängstlicher in die Welt schauen und aus Gegenden sind, in denen man Sätze ganz wie die Gouverneurin aus Alaska mit “Gotcha” beginnt und “Betcha” beendet. Weiter zum Blog auf Deutsche Welle. 1, 2 oder 3 – letzte Chance: Vorbei! blog Comments Off on 1, 2 oder 3 – letzte Chance: Vorbei! When the Olympic fire was set alight during the Games’ opening ceremony, there was a giant wave of smog hanging over Beijing. Like any other day of the year, the air pollution was several times above what the World Health Organization considers safe. Many competitors were so concerned about their personal wellbeing that they restricted their visit to the Ancient City to the days on which they compete, thus missing out on a once-in-a-lifetime chance to inhale the legendary Olympic spirit for the duration of the games. 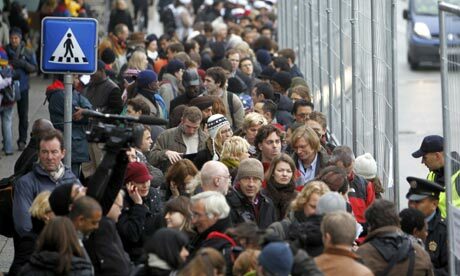 Overpopulation was not amongst the problems the athlete village faced. And however clean, colorful, and crystal-clear the opening ceremonies were – when the cameras conveyed the first images of spectators with masks over their mouths, the hosts’ delight soured rather suddenly. Most of us, however, were not surprised. After all, this is the China we imagine. A political apparatus so keen to receive world recognition and a population so eager to catch up with the wealthy elsewhere have unleashed such a thriving economy that there is no room for environmental concerns, least of all protective regulation. Das Thema Energie bestimmte den Präsidentschaftswahlkampf der vergangenen Woche. John McCain und Barack Obama stellten ihre Pläne zur Sicherung der amerikanischen Energieversorgung vor. Das Allerbeste vorneweg: Beide Kandidaten nehmen den Klimawandel als eine große Bedrohung ihres Landes wahr. Sie erkennen an, dass Klimaschutz eine radikale Änderung der Art und Weise erfordert, wie Energie hergestellt und genützt wird. Um die schlimmsten Folgen der globalen Erwärmung noch verhindern zu können, sind viele Maßnahmen in den unterschiedlichsten Bereichen unserer Wirtschafts- und Sozialsysteme nötig. Energieproduktion und –konsum kommt jedoch eine Schlüsselrolle zu. Clinton steigt aus – und als Vizekandidatin wieder ein? 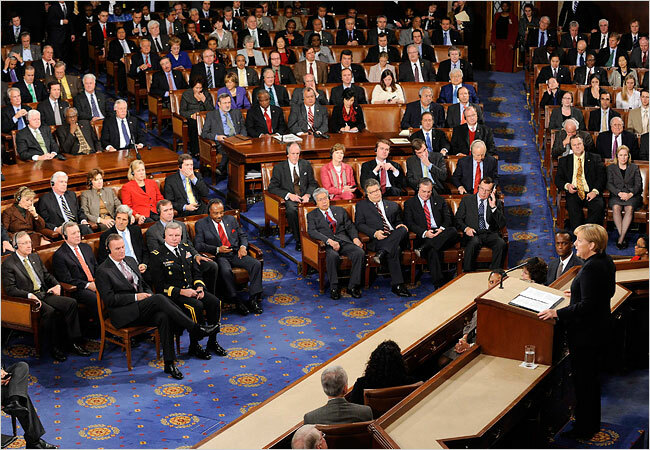 blog Comments Off on Clinton steigt aus – und als Vizekandidatin wieder ein? blog Comments Off on Wer verliert das Unentschieden?